The Alpha Over node is used to layer images on top of one another. Where the foreground image pixels have an alpha greater than 0, the background image will be overlaid. Controls the amount of foreground image. A factor less than 1 will make the foreground more transparent. Input for the background image. Input for the foreground image. Converts foreground image to premultiplied alpha format. The Premul slider allows to mix between the using premultiplied or non premultiplied alpha. If Premultiply is not zero, Convert Premul will be ignored. 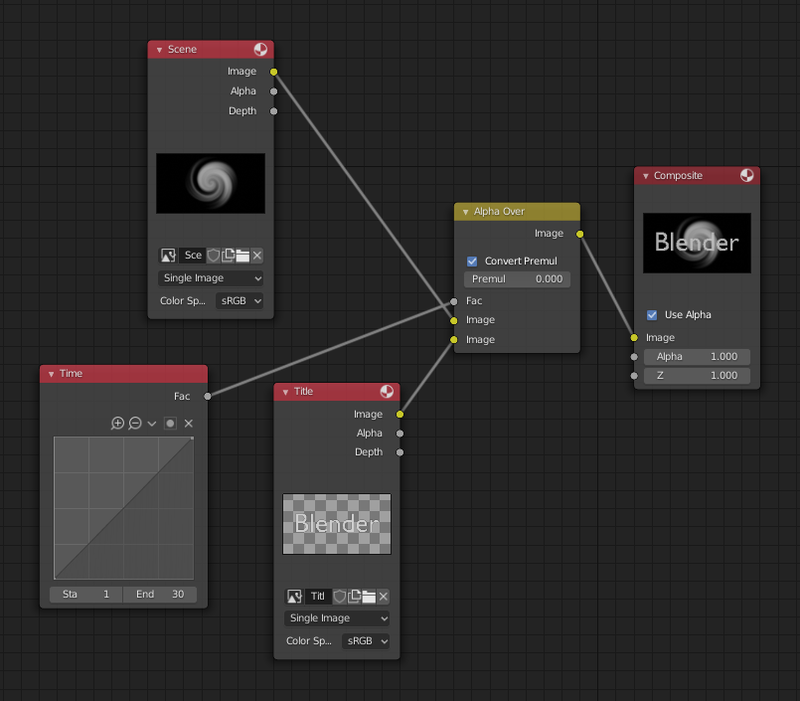 In the map below, Color Ramp node is used to add an alpha channel to the black-and-white swirl image. Then Alpha Over node is used to overlay it on top of another image. In next example, we use the Factor control to make a «Fade In» effect. 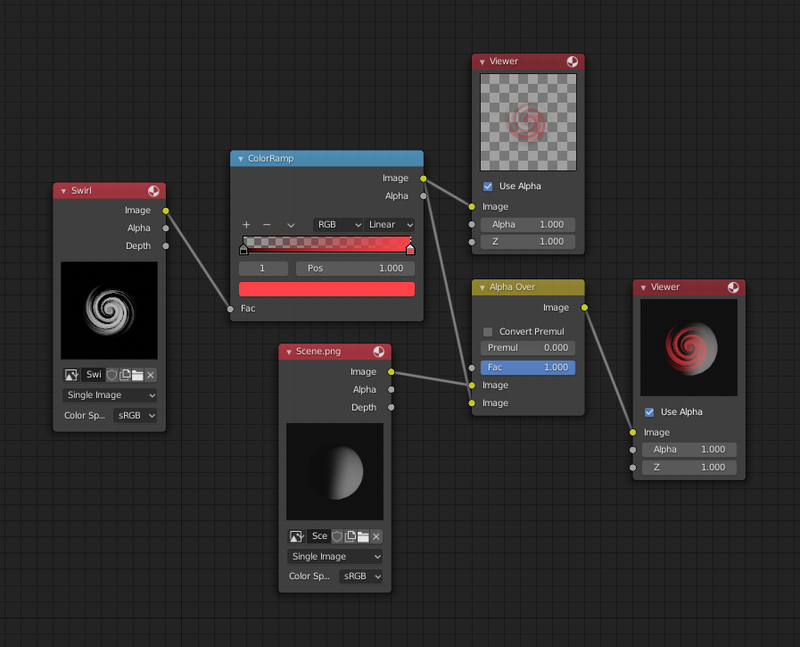 This effect can be animated by adding a Time node to feed the Factor socket as shown below. In this example, over the course of 30 frames, the Time node makes the Alpha Over node produce a picture that starts with the pure background image, and title slowly bleeds through the background.